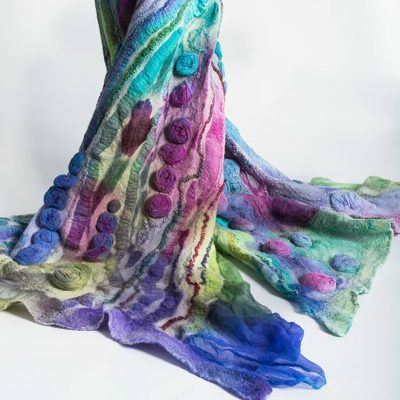 Jacki Sleator is a textile artist from Co Tyrone N.Ireland who makes fine felt clothing and accessories. All of her work is made by hand using only the finest of natural materials, usually wool and silk. 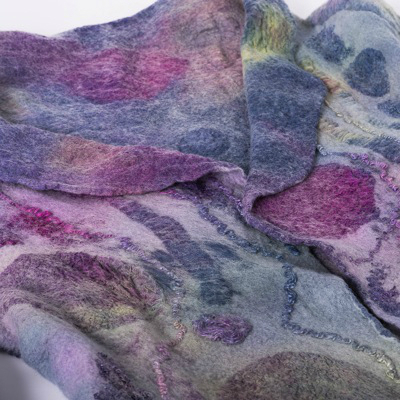 By hand-dyeing her materials and exploiting the natural qualities of felt she imbues each piece with individuality. Exquisite colour, texture, drape and shape are the hallmarks of her work. Every item is designed as an original with special care and attention to detail. Simply wear it and feel extra special too. Jacki Sleatorʼs fascination with textiles stemmed from her teenage years when she began to make clothing for herself. In 1987 she studied part-time to attain a City & Guilds in Fashion and Design while simultaneously attending tailoring evening classes. 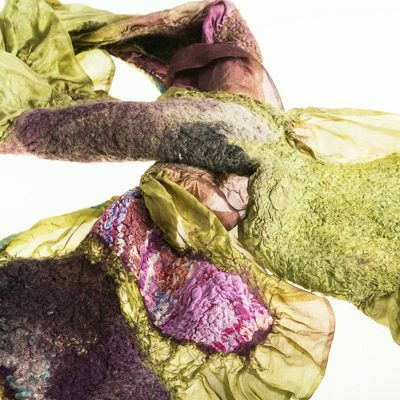 She first began felt-making in 2009 and now uses this medium to develop new and innovative contemporary wearable pieces. Jacki takes her inspiration from many sources. Images reminiscent of the Irish landscape can be found in her flowing forms, while some are reflective of the built environment. 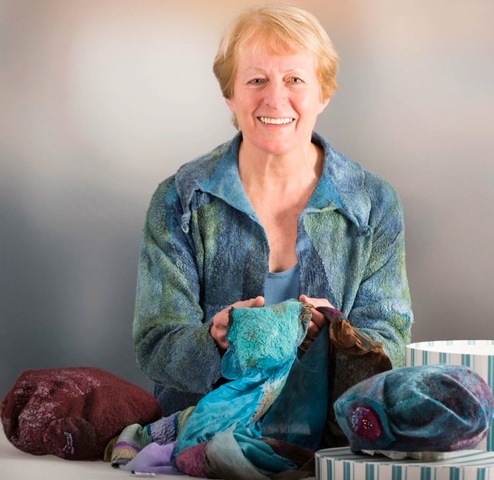 She is the Irish Regional Co-ordinator for the International Feltmakers Association, a member of Feltmakers Ireland and the Design & Crafts Council of Ireland. Her work can also be found on the Craft NI Directory.